Adventures of Elis: SORRENTO & THE AMALFI COAST, Italy. The majestic Lattari Mountains rise abruptly from the sea to the sky along Italy’s most dramatic stretch of coastline – the Amalfi Coast. A narrow ribbon of tarmac clings perilously to the cliffs, twisting and turning as it clings on for dear life. This is the world famous ‘Amalfi Drive’ which links together a series of equally precarious, but spectacularly beautiful towns and villages. It is the dramatic nature of this rugged landscape coupled with the rich, colourful Italian culture and cuisine which makes this part of Italy an incredible place to visit. Each town along the coastline has its own unique character, but if I had to pick favourites I would have to choose Positano and Amalfi. To me, Positano is something of an architectural wonder; I find it amazing how a town can be built on such a steep mountainside! The best views of the town are from the beach, or from the sea. From here, houses look as if they have been precariously stacked on top of one another, painted in shades of white, peach, pink and red. The town is a maze of pretty flower-covered alleyways lined with boutique shops, all of which seem to lead down towards the sea. The steep terrain is accounted for by what seems like hundreds of staircases – you’re guaranteed to get plenty of exercise here! It must be pointed out that unfortunately Positano is very expensive for eating and staying – I would say it was the most expensive town in the area. Located in the central portion of the Amalfi Coast is the small, but elegant city of Amalfi. Once the centre of the thriving ‘Amalfi Maritime Republic’ between AD958 and 1137, Amalfi is now a bustling seaside town with an economy heavily based around the tourist industry. It is another very attractive town and rather different from Positano. Most of the town is built in a small valley, and around the beach, in contrast to the steepness of Positano. 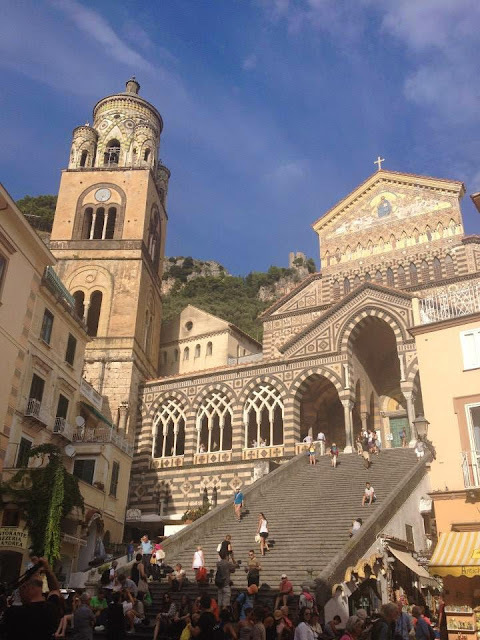 Amalfi is characterised by a network of pretty, shaded streets and a wealth of lovely shops, bars and restaurants. A small square lies at its heart, dominated by the impressive Sant’Andrea Cathedral, known as the ‘Duomo’ in Italian. To sit in the afternoon sun in the square, sipping a glass of Pinot Grigio and watching the world go by is simply bliss. 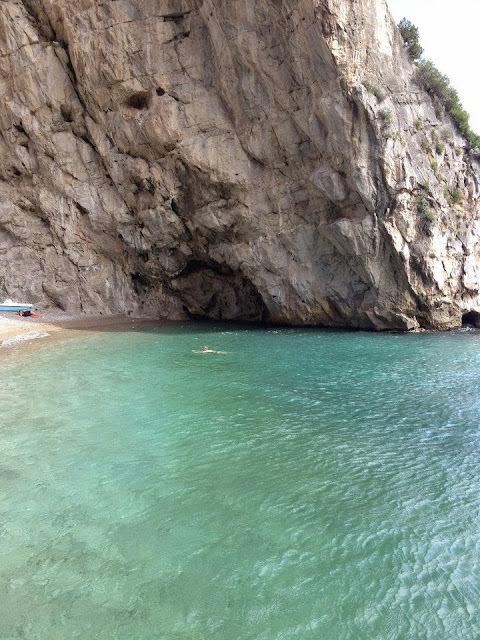 There is also a nice beach with public and private sections, and a busy harbour offering boat rides all around the coast, including trips to the impressive ‘Grotta dello Smeraldo’ caves, or the beautiful island of Capri. Typical dramatic scenery of the Amalfi Coast. At the tip of the peninsula is the busier resort of Sorrento. My favourite thing about Sorrento was the long, narrow alleys in the centre which have so much character. There are lots of lovely shops in Sorrento and it’s larger and slightly cheaper than Positano and Amalfi. The main theme here, (which you will notice straight away) is lemons! The area is known for its citrus trees and Sorrento in particular is famous for the production of ‘limoncello’, a lemon-based spirit. Almost every shop in the town stocks limoncello and there are some fabulous variations based on other fruits – the favourite one I tried was a melon liqueur – ‘meloncello’, which was absolutely lovely! There are numerous limoncello distilleries in Sorrento which offer tours to the public – we even got free tasters at the end which was great! Sorrento is larger than the towns on the Amalfi Coast and has a different rather more hectic feel, but it is certainly worth visiting. 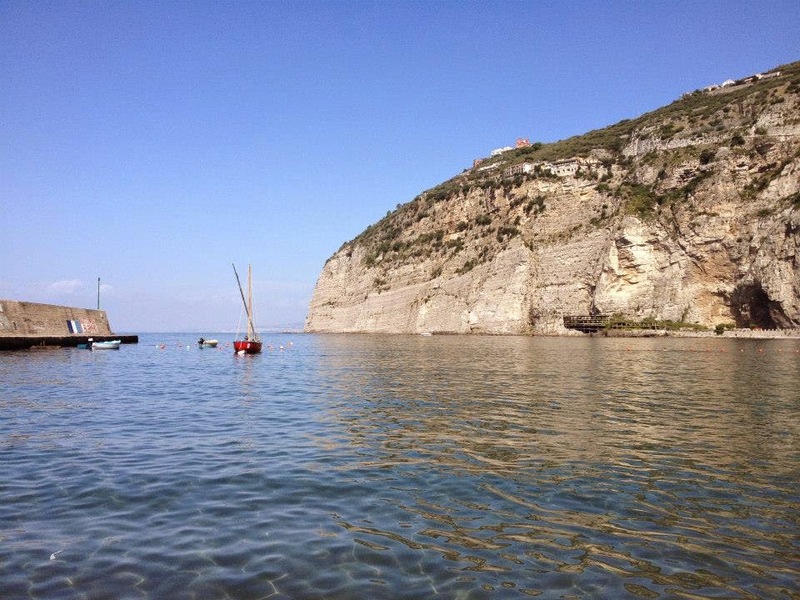 I would say the best beaches in the area are those around Sorrento (notably Meta di Sorrento and Marina Grande) as well as Marina del Cantone. The beaches in Sorrento are sandy (interestingly the sand is black in colour, presumably of volcanic origin), and have lovely views over the Bay of Naples towards Vesuvius. 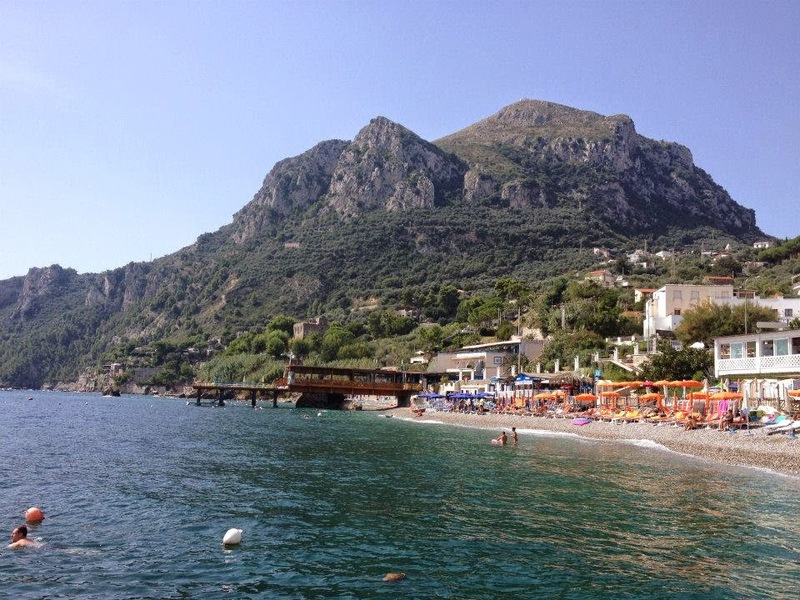 Marina del Cantone is a lovely pebble beach, backed by restaurants and café bars. There are some spectacular beaches on the Amalfi Coast, but parking is more restricted. Marina di Praia near Furore is a very pretty little cove, with a shingle beach and a reasonably priced car park. 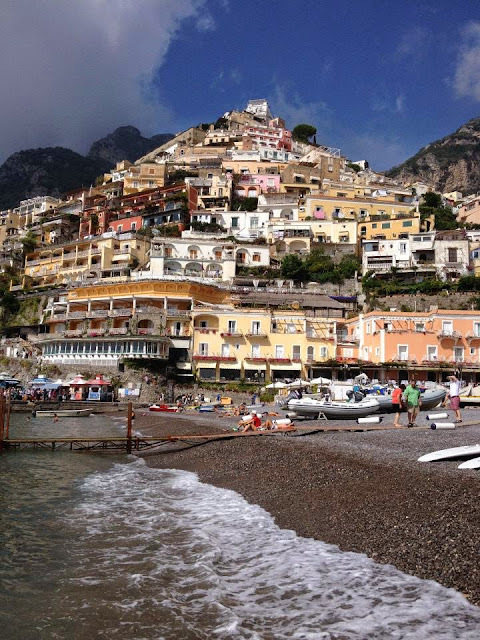 Positano and Amalfi both have lovely beaches – the view of Positano town from the beach is outstanding. Houses look as if they are stacked on top of each other like match boxes! The sea is amazingly clear in this area (as with much of the Mediterranean) – I spent a lot of time in the sea whilst I was there. The food in Italy definitely lives up to its reputation. It was excellent wherever we went. Being surrounded by sea, many menus are heavily based around seafood. However there is a very wide range of dishes; Italian cuisine places a lot of emphasis on simple recipes using tasty, fresh ingredients. This region was the birthplace of the ultimate Italian classic – the Margherita pizza. It is said to have been created in nearby Naples in the 1880s for the Neapolitan royalty by chef Raffaele Esposito. The Margherita represents the green, white and red of the Italian flag – the tomato sauce represents the red, the mozzarella cheese represents the white and the basil represents the green. Every pizza I had whilst I was there was amazing!! 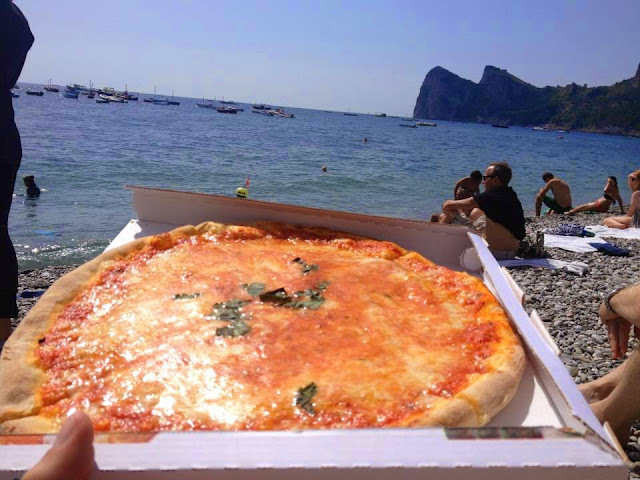 Fresh pizza on the beach - perfection! There are lots of opportunities for daytrips whilst staying in this area. 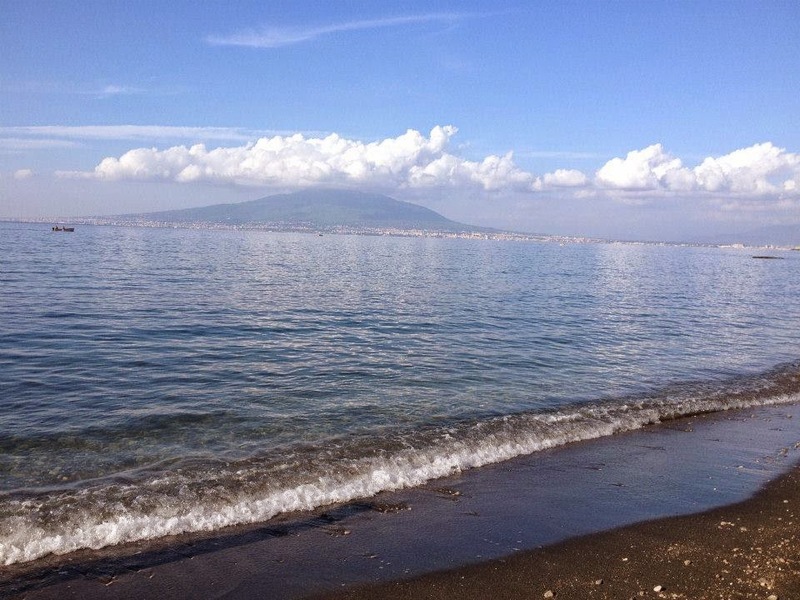 The Bay of Naples is home to the ancient ruins of Pompeii and Herculaneum, which were devastated by the volcano which stands tall above them – Vesuvius. The volcano in itself is a very interesting place to visit. The city of Naples is also nearby, which has many sights to see, although I am yet to visit. The Bay of Naples and Vesuvius, viewed from Vico Equense. I absolutely loved every minute of my visit, however I should probably point out some of the less perfect aspects of this area. Most notably, it's usually packed with other tourists. 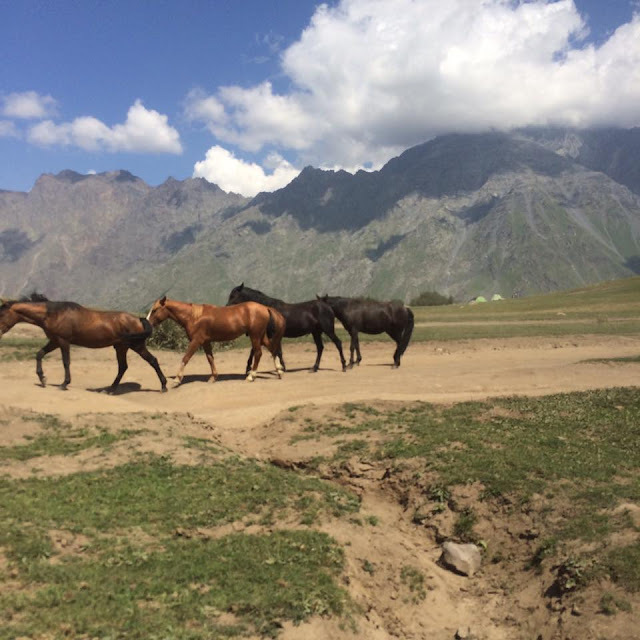 Although many of the towns and villages look peaceful in photographs, the entire coastline gets very busy throughout the summer months, which leads to congestion on the narrow roads and packed-out beaches. Trains run between Naples and Sorrento and local buses connect the towns along the Amalfi coast. Because of its popularity, it is also an expensive region in what can be an expensive country. This is particularly the case in Positano and Amalfi. Expect to pay between EUR 20-35 for a bed in a shared hostel dorm in Sorrento or Amalfi, although costs are a little lower in nearby Naples. A main course in a mid range restaurant should cost between EUR 15-25. For budget travel tips, see this post. 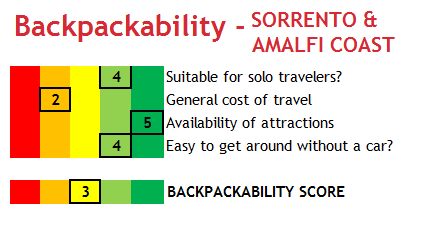 I've given Sorrento and the Amalfi Coast a 'backpackability' score of 3, meaning it is somewhat suitable for backpackers and budget travellers. It's an outstanding natural and cultural landscape, but it can be an expensive place to visit. 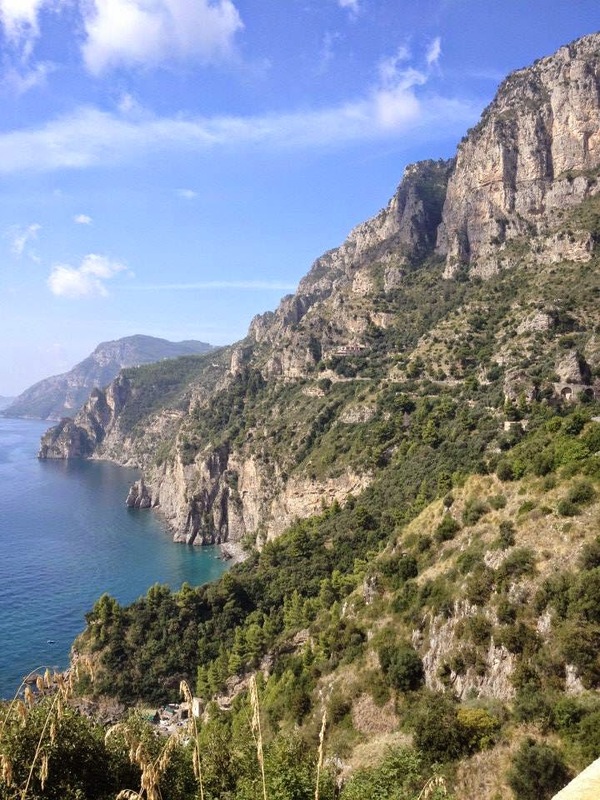 Italy’s Amalfi Coast is simply stunning – I'd do anything to go back. Have you been to this part of Italy or are you thinking of going? Let me know in the comments section below!